Welcome to the Philadelphia School of Massage and Bodywork, the only massage therapist owned and operated massage school in the heart of Philadelphia. We are centrally located in Center City. Our main goal in the community is to offer quality and affordable education and services in the field of massage. 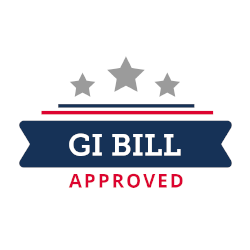 PSMB is proud to announce that we now accept GI Bill Benefits. Call or Email for more info. We know that you have a busy life, so we've designed our curriculum to fit into it. We offer full time day programs & part time evening programs to meet your needs. Looking to enhance your practice? Looking for continuing education credits close to home? Want to learn more about a modality you've been curious about? Our continuing education courses are offered year round. Along with our professional massage and bodywork services, we offer discounted massages during Student Clinic. Student Clinic allows students an opportunity to practice and refine their skills in a safe, supportive and nurturing environment where they can build self confidence in the field of massage therapy. With so many healthy benefits, a Massage gift card is a great idea for any occasion. To purchase a gift card, click the link below. Copyright © 2019-20 Philadelphia School of Massage & Bodywork | Powered by Right Brain Group LLC.